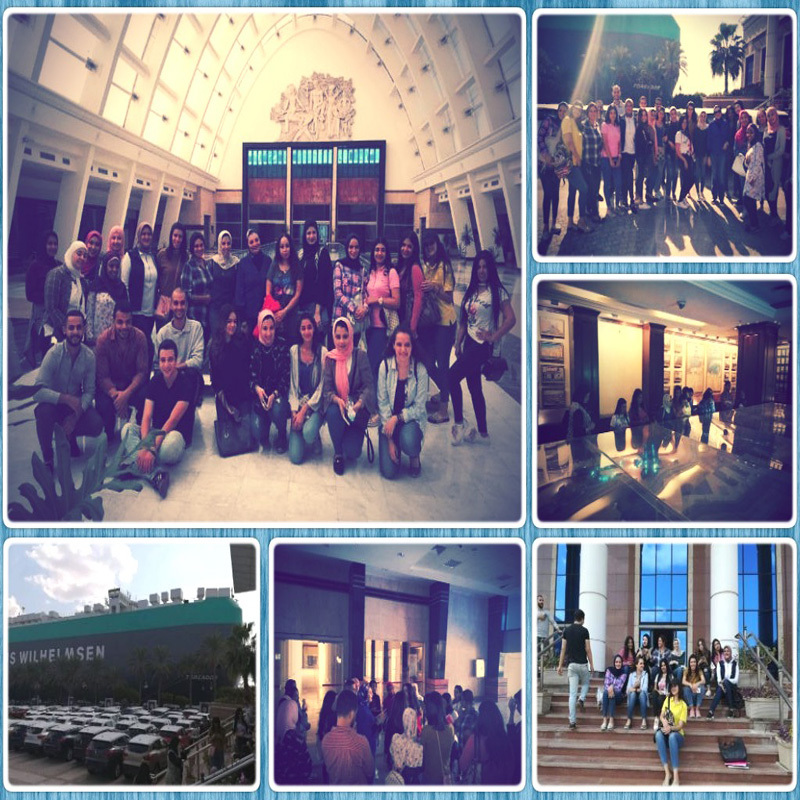 Under the auspices of Prof. Amany Refaat, the Dean of the faculty of Tourism and Hotel Management, a field trip was organized to Alexandria Port on Monday, November 5, 2018. The faculty students were escorted around the Port and its museums by a tour guide who got them apprised of the history of establishing the Port, the most remarkable historical events the Port witnessed and its departments. The students were accompanied in this visit by Ms. Dalia Sari, a Tourism Expert; Associated Prof. Ghada Bassiouny, the Vice Dean of the faculty of Tourism and Hotel Management and Mr. Amr Almaghraby, a Demonstrator at the faculty of Tourism and Hotel Management.